Currently, the technology available for remote operation of heavy mobile work machines does not allow for the desired level of performance. 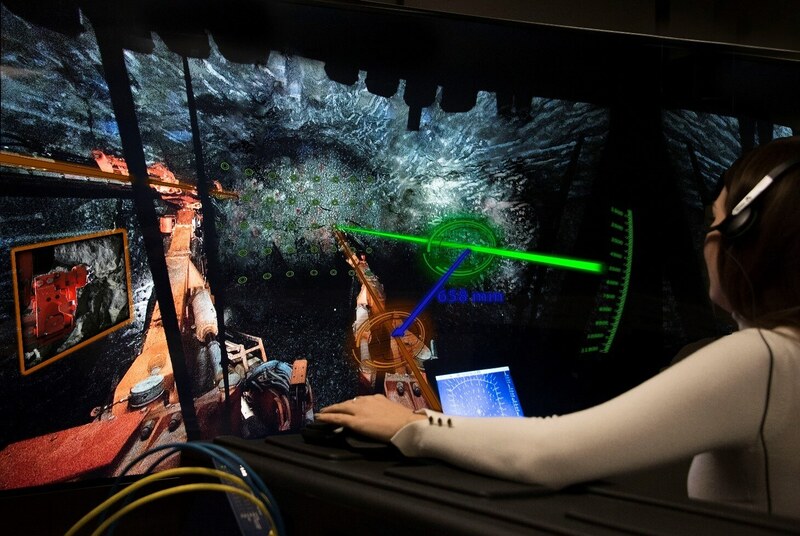 The view from the machine and its complex environment is provided to the operator through multiple 2D displays, which the operator has to simultaneously follow, or to switch between several camera feeds according to the current task (Figure 2). This leads to a high cognitive load and limits the amount of information available, further adding stress to the already demanding safety critical work. Furthermore, latency and capability to accurate work are crucial in allowing the high levels of precision and speed needed for efficient operation of heavy machinery.